A side table is such a handy piece of furniture to have in your home. Rather than having to move pieces around or get up every time you need something, a side table allows you to keep everything at arm's reach! 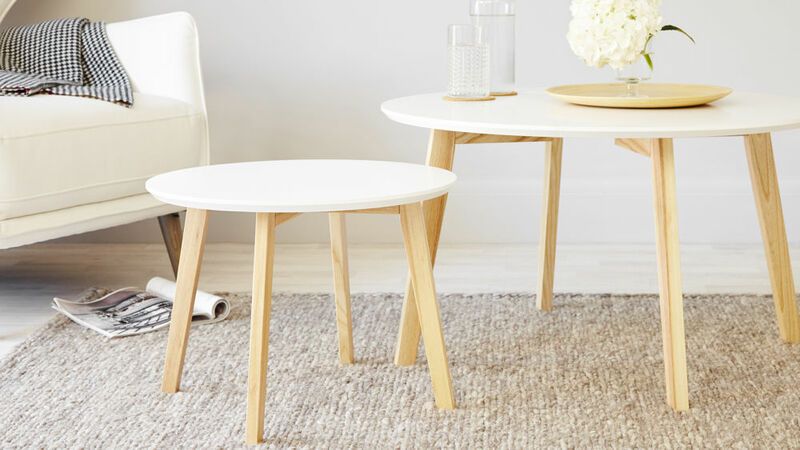 That's why with our Penny White and Oak Side Table, we've kept the design clean and simple so it can fit in a range of spaces while also being easy to coordinate with your existing interior and colour scheme. The finish of the Penny table is a matt satin. It has a light sheen rather than being highly reflective, making it a great alternative if you don't want a piece of glossy furniture. 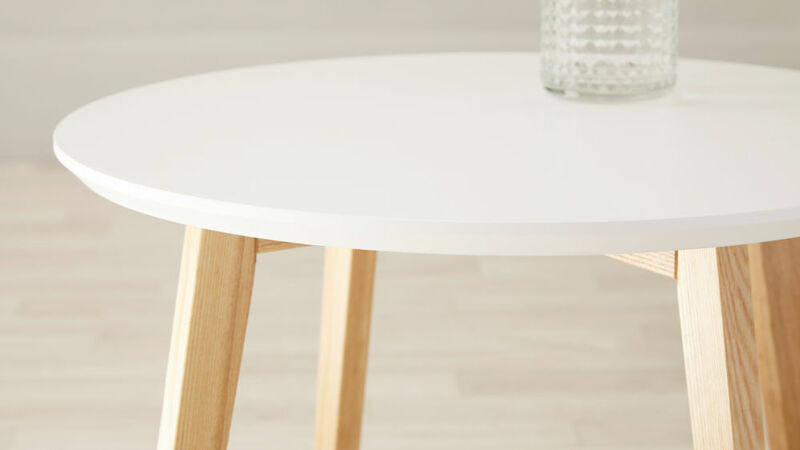 The Penny White and Oak Side Table comes complete with floor protectors meaning this side table would work just as well on a hard or laminate floor as it would on a rug or carpet. 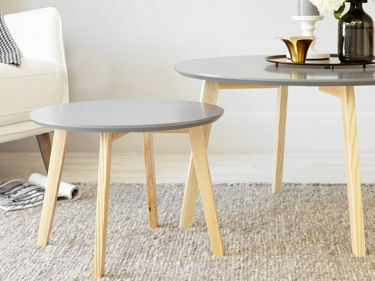 You could also style the Penny Side Table along with one of our Penny Coffee Tables like we have shown in our product images, creating a larger surface area for both styling and storage. The great thing about this is that you can always move the tables apart when you need them elsewhere. 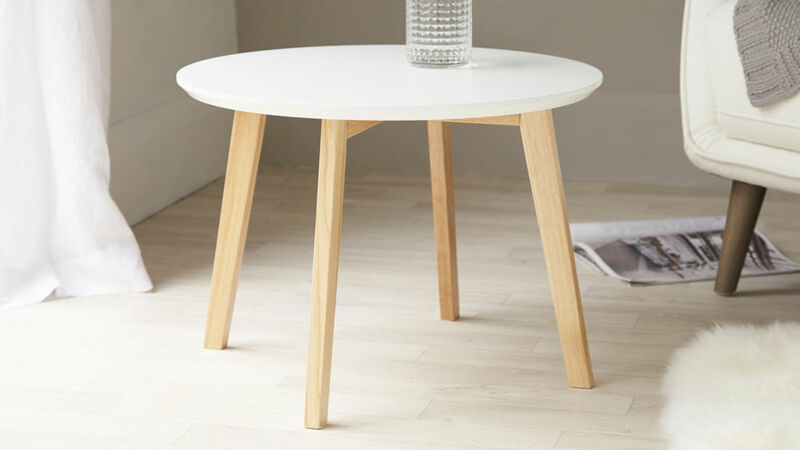 With its oak legs and crisp white table top, the Penny White and Oak Side Table is a true definition of clean contemporary style. Whether you use this table by your sofa, occasional chair or even in your bedroom, it will instantly become a true asset to your home.